In reshuffling Fiat Chrysler Automobiles' executive team last week, new CEO Mike Manley handed key brand responsibilities to two well-known, longtime colleagues with reputations as brand-growers. 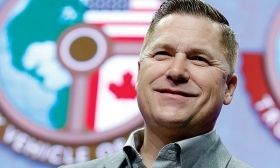 Tim Kuniskis, the father of Dodge Hellcat-mania, now oversees Jeep operations in North America and Reid Bigland takes over Ram after a four-year hiatus from the brand. 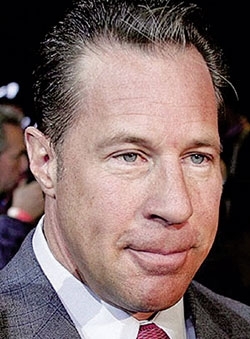 Bigland and Kuniskis, both 51, retain some of their previous roles. Jeep and Ram "are two extremely important brands going forward with the five-year plan — particularly Jeep," said Michelle Krebs, Autotrader executive analyst. "These are obvious solid choices that will carry on, be seamless in terms of a transition." Manley was global Jeep boss before succeeding CEO Sergio Marchionne, who died in July. Manley last week did not name a global head of Jeep, which is now overseen regionally by executives who report to him and the Group Executive Council — the highest decision-making body outside the board of directors. Bigland continues leading the automaker's Canadian operations and U.S. sales. Kuniskis retains global responsibility for Alfa Romeo, while handing Maserati to Harald Wester, FCA chief technology officer and longtime lieutenant of Marchionne. Wester, 60, led Maserati from August 2008 to May 2016. The changes involving Kuniskis, Bigland and Wester undo some moves by Marchionne, who sent Kuniskis to lead the Italian brands this year after successful stints stateside with Fiat, Chrysler and, most prominently, Dodge. Bigland, who led Ram in 2013-14, replaces Manley as head of Ram. Marchionne had moved Bigland out of the top Ram position four years ago to succeed Wester as head of Alfa Romeo and Maserati. In February, Kuniskis took over those responsibilities from Bigland. Manley's new executive lineup maintains the company's management matrix — a complex, cross-functional structure that assigns two or more roles to nearly all top-ranking managers — while delegating additional responsibilities to battle-tested executives. "The new organization is an evolution of the old one adapted to the new CEO and the new environment," said Bernardo Bertoldi, a business professor at the University of Turin, in Italy. "I'm sure the mark of the house will remain the 'pressure cooker' leadership style." Bertoldi, who co-authored a Harvard Business Review case study on FCA's management matrix structure under Marchionne, said keeping the system in place is a smart move. "The matrix structure and the within-management promotion are the imprints of the house," he said. "Changing them would be an attempt to modify a culture which worked very well in the last 15 years." Scott Garberding, 54, succeeds Stefan Ketter as global chief manufacturing officer. Steve Beahm, 55, runs Mopar in North America, while continuing as head of the Chrysler, Dodge and Fiat brands in North America. Pietro Gorlier, 55, formerly COO of FCA's components business, becomes COO of the Europe, Middle East and Africa region. He remains global head of Mopar. Ermanno Ferrari was named CEO of Magneti Marelli. He has been head of Magneti Marelli's lighting division. Richard Schwarzwald succeeds Garberding as global head of quality. He most recently led FCA's quality organization in Latin America. Mark Champine takes over as head of quality in North America. Geraldo Barra was named head of quality in Latin America.